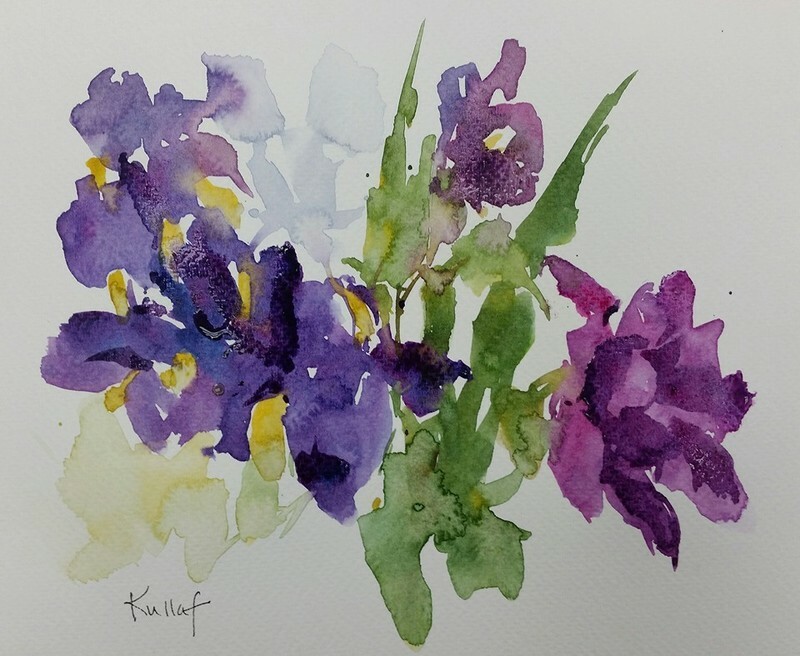 As a faculty teacher for three organizations with numerous residencies, exhibitions, and gallery representations under her belt, Artwork Archive artist Anne Kullaf is an expert at navigating the art business world. But, this expertise came only after years of hard work and strategizing. From welcoming opportunities to supplementing your income, Anne kindly shared some important art career insights with us for those just starting out—or anyone looking for tips from a pro. Paint only that which interests you in the way you choose to paint it. Don't change your approach to gain sales, popularity or acceptance. You will never do your best work if you do. 2. Compete only with yourself. Avoid competitions, contests and measuring yourself by how many shows you've gotten into or awards you've won. Seek validation internally, you will never please everyone. 3. You have to realize it’s a lot of work. You can't just sign up for a workshop or go to an art class once a week and expect gallery representation and collectors to follow shortly thereafter. Most successful artists have natural talent, a long history of education and a lot of practice under their belt. Your goal should be to be the best artist you are capable of being, not to become famous or to make a lot of money from your work. If that means earning your living from a day job, that's perfectly ok. In fact, most artists do exactly that! The demand for art is not great enough to support all of the talented artists who need to earn a living. 4. There IS such a thing as natural talent. Everyone is not an artist. Yes, you can learn to improve the way you draw and approach color, but if it does not come naturally to you it is going to take that much more effort to just get to same the point where someone with natural talent starts out. That doesn't mean you shouldn't try your hand at it, just have realistic expectations as to how much effort and practice it will take to become the best artist you are capable of becoming. 5. Work from life! Go outside and paint! Never be afraid to work in public and always work from life whenever possible. Painting from life teaches you how to see, you become more adept at discerning values, color and composition. Working from photos, particularly if you are a beginner, can stunt your creative growth. If the weather's bad, work indoors, but from a still life you design and set up yourself. It's a guarantee you will be painting something unique and original because no one sees what you see when you look at something from life. 6. If you want to be a professional artist, you must have a strong source of income. Whether that be web design, teaching, commercial illustration, marketing, or graphic design. It should be something that is a component of your art business. Having something else that you enjoy doing is going to give you financial freedom, so that you can focus on your art career. You’ll be able to get materials and get to places. You won’t have to worry about stagnant art sales. Teaching drawing and painting is my "day job", people tell me all the time that they learn a lot. I find that equally important, and rewarding, just in a different way. Want to learn how to juggle an art career with a non-arts day job? Read How to Create Art After a Long Day at the Office. Originality, procrastination, opportunity, failure—there are lessons in all of these. 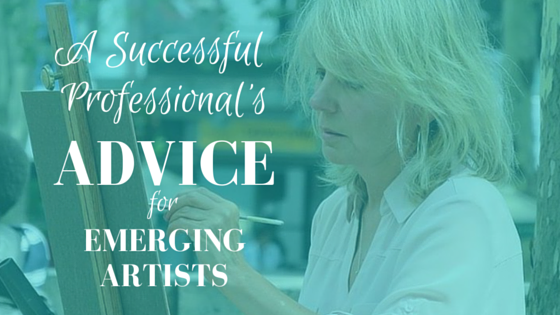 These lessons have the power to unlock the full potential of your art business. What would you tell your younger self? 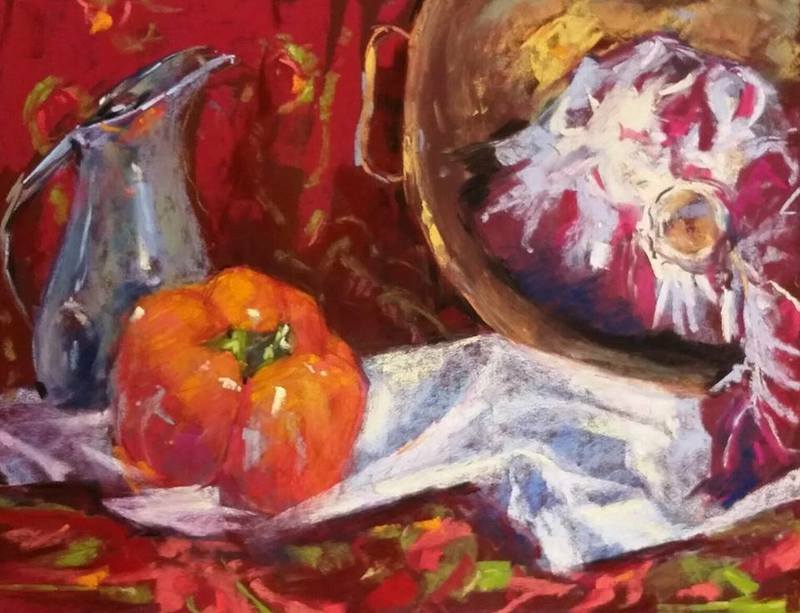 Accomplished painter Linda T. Brandon shares eight elements for success she wish she’d known. Previous art customers are the perfect audience. Discover 3 ways to leave them wanting more.